It’s 2050, and the world has fallen apart. So has Julian West’s family. Looking backward, West tries to figure out what went wrong. 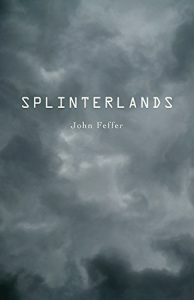 This is the story of Splinterlands, a new novel by John Feffer, a DC member of the National Writers Union and directer of Foreign Policy in Focus at the Institute for Policy Studies. The book, published in December by Haymarket, paints a picture of a dystopian future that tracks with today’s global developments, from Brexit to the election of Donald Trump. Feffer says that he’ll talk about what he thinks lies ahead for the United States, Europe, and the world on Tuesday, February 21st. The event will take place from 7:00PM to 9:00PM at the Potter’s House on 1658 Columbia Road, NW. You can RSVP via Facebook. If you want to order a paperback or digital copy of the book beforehand, you can do so on Amazon.